Got a little too much lead in your foot? Or just tired of being hassled by ambitious law enforcement? Bay Area Audio Visions can help even when you just want to cruise on an empty stretch of road without worry. We offer a wide range of radar detectors and laser protection for you and your vehicle. From simple windshield mounted units that may be moved from car to car, to units that are hardwired into your vehicle. No more unsightly, dangling cords to get in your way or take up your charging ports. We can minimize the amount of wires you see, as well as power the radar detector with the vehicle’s ignition. But where Bay Area Audio Visions can really help protect you, is with a custom installed radar detector and laser jamming system.. Let us professionally integrate a stealth system that has radar and laser sensors in both front and rear for the ultimate in protection. Not only does it offer fantastic advanced warning, but also offers “shifting” or jamming of laser guns. This system can also protect you from “speed trap” cameras by alerting you of their presence through GPS signals. 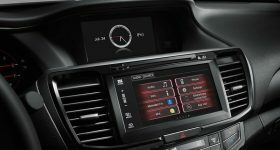 A small custom installed display and control panel are the only things you see on the interior of the vehicle and even those can be installed in such a way to be all but unnoticeable until needed. A tiny LED for visual alerts and a hidden speaker give you all the warning you need to adjust to an appropriate speed. From all kinds of trucks and cars to exotics, we have the radar detection system that’s right for you.